The Engineering degree introduced her to an arcane typesetting system called TeX, which turned out to be useful for typing up Gregorian chant. Soon Veronica ended up typing music for different groups and thereby learning much about Gregorian chant. 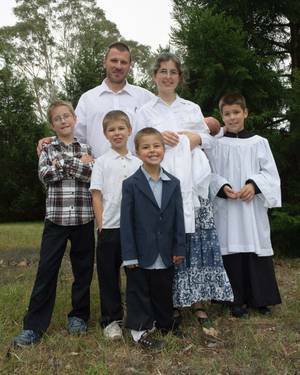 She lives in the Blue Mountains near Sydney, Australia with her husband Peter and five children. More about her adventures in homeschooling, knitting and her husband’s drawings can be found at http://brandt.id.au.